Home to a variety of terrain for all levels of mountain, road and recreational cycling, Whistler is a biker’s dreamland. 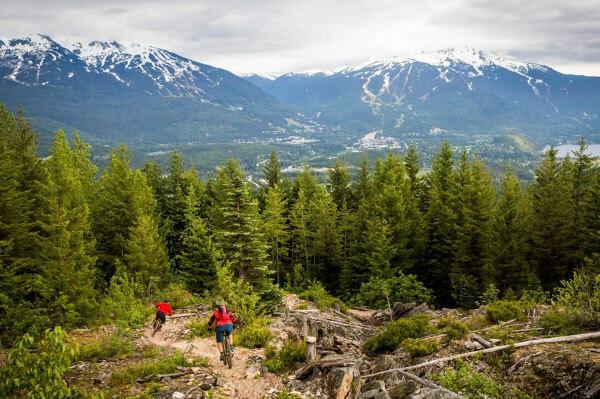 The Whistler Mountain Bike Park operates from May to October, with lift access available from Whistler Village and Whistler Creekside Gondola. The extensive trail network stretches across four mountain zones, offering 70 lift-serviced trails for all levels and abilities. New this year, the Creekside expansion has added five new adrenaline-fueled trails to the Creek Zone. Don’t have a bike? Bike rentals are available from a standard downhill fleet to high performance or premium downhill bikes. Junior sizes are also available. Travellers can also celebrate the heart, soul and dirt that is gravity-fueled mountain biking at Crankworx, returning to Whistler Mountain Aug. 10-19. The 10-day festival is geared to mountain biking enthusiasts with racing and slope-style competitions, bike demos and more. Whistler offers something to suit every cycling enthusiast’s needs. A variety of terrains can be explored through endless recreational biking trails such as the scenic Valley Trail network to more than 300 miles of cross country mountain trails, and road cycling, all with spectacular views.